These were a great seller last Autumn. I only stocked them up until the New Year as it was hard to keep up with the demand when my seed sales took off in January. The workload was interfering with my Mojo. *Instead of using French lavender I have opted for British grown lavender which uses the same hybrid variety. It’s not the prettiest lavender but it is the most perfumed. The Lavender bags come with shipping included in the price and we can send them anywhere within the EU. Your lovely Uncles and Aunties will be most grateful and will admire your sophisticated tastes. As ever with Higgledy, we have tried to keep things simple. 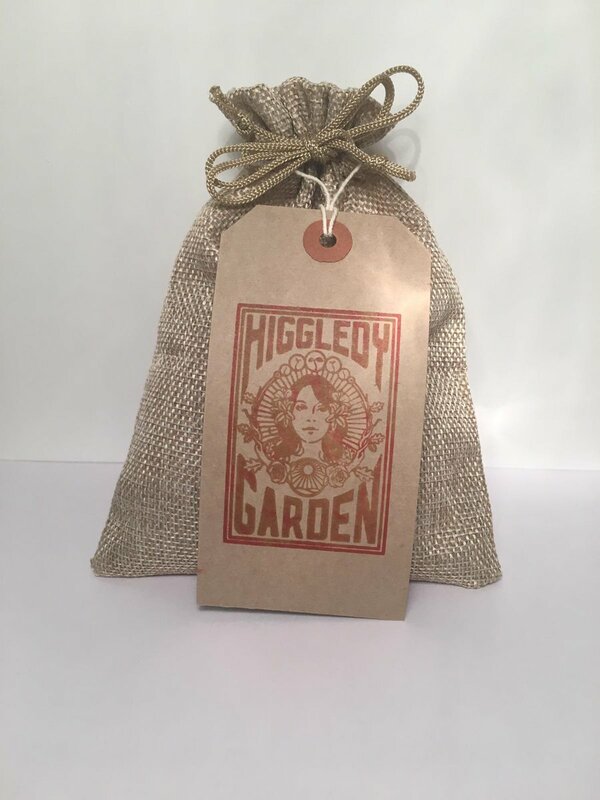 A jute drawstring bag, 50g of top end lavender and a Higgledy label. #simples.